Classy. Cool. Memorable. Make a lasting impression with an unforgettable business card. When it comes to networking events, it’s all about standing out. With a distinct, premium looking business card, you’ll be ready to mingle with confidence. We have a range of cardstock, papers, formats, and finishes to choose from. 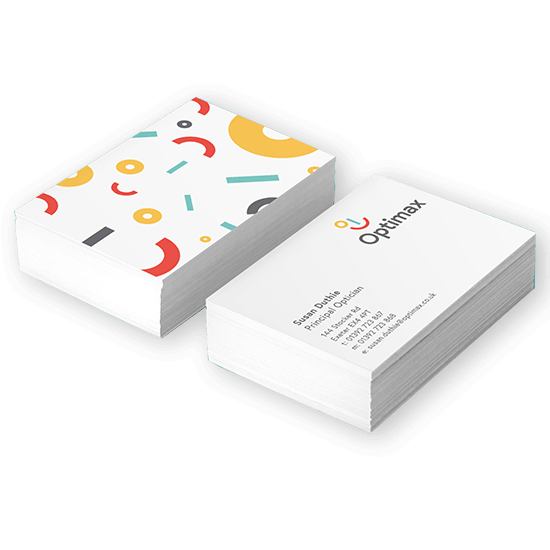 And thanks to our selection of spot colour inks, lamination (including soft touch), spot UV and spot 3D UV, your business card will warrant a second, third, and fourth look long after it’s made its way into the hands of your contact. We ask for a 3mm bleed and a 5mm quiet area on all business cards. Please do not include any important content within this area. We cannot print multiple spot colour inks. Only one single spot colour ink is available per print file.